Anyone who has even a little interest in Apple and Steve Jobs’ carrier would be already knowing John Sculley, the former Apple CEO. He was the only person Steve Jobs personally got over in the company although as we all know, things did not go so well. But coming back to the point, reports suggest that John Sculley might be planning to launch a new smartphone brand in India. We don’t have much details about the new company, John is planning to introduce. We still don’t know what it will be called. There are a few things we know like we know for a fact that Singapore-based company Inflexionpoint will finance the venture. 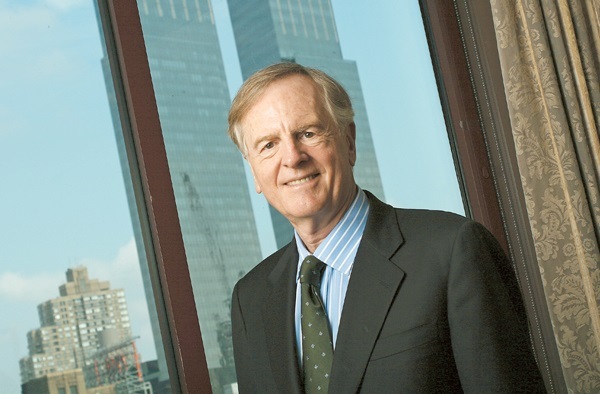 John Sculley is one of the founding partners at Inflecionpoint so that just makes sense. Ajay Sharma, who was earlier HTC India’s head while recently he was the head of Micromax’s smartphone division will lead the unnamed smartphone brand. Apparently, he’ll use his contacts in the Indian market to get a successful business going. The first smartphone from the new found company will be unveiled in April and it will be a budget smartphone priced in between Rs. 5,000 ($82) and Rs. 15,000 ($246). Well, that’s all we know folks and it will be interesting to see if John brings some of the Apple sensibilities to the new company. India is a tough market to be in, with competition at all levels. All the global brands are fighting it out while a number of local brands make for a cut throat competition. It will be interesting to see if the new unnamed company tries and brings something new to the table.